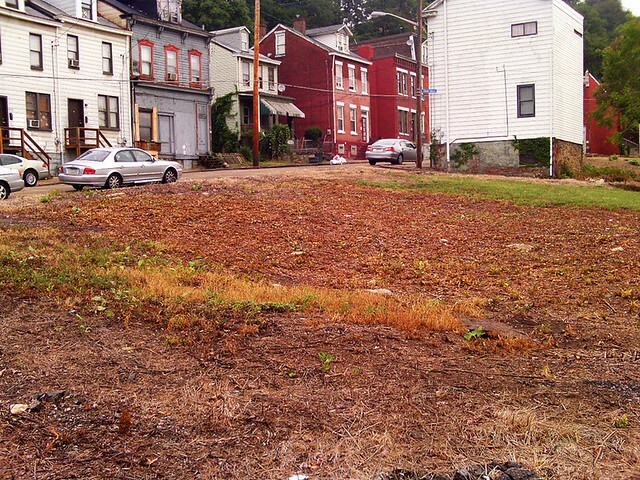 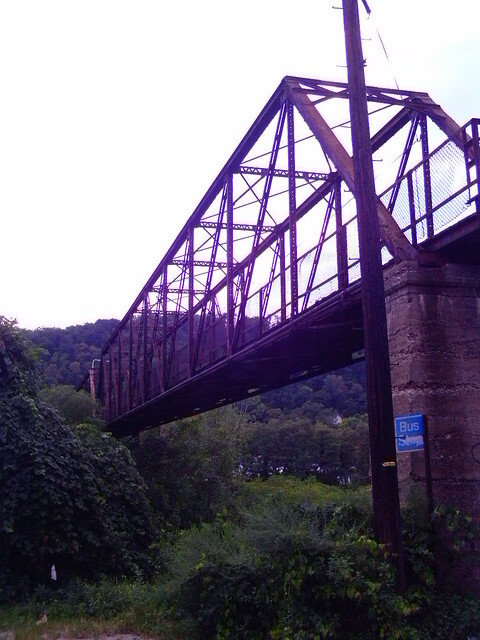 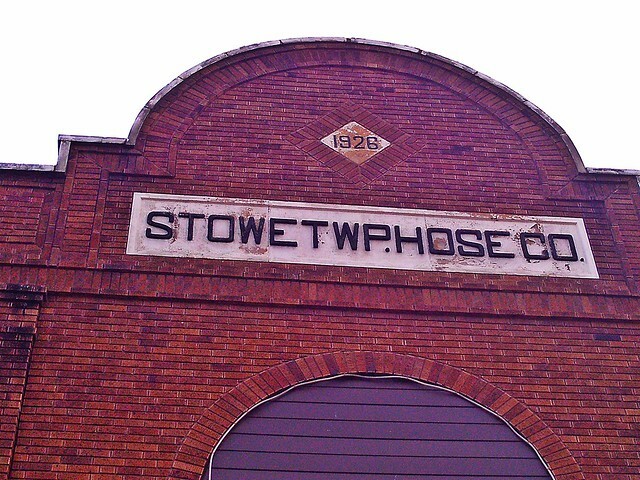 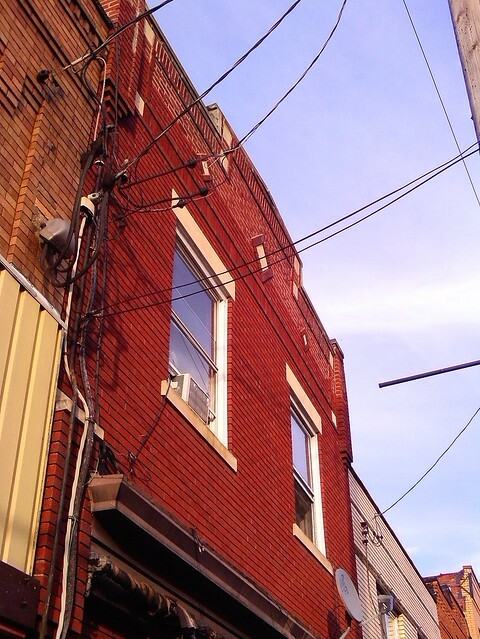 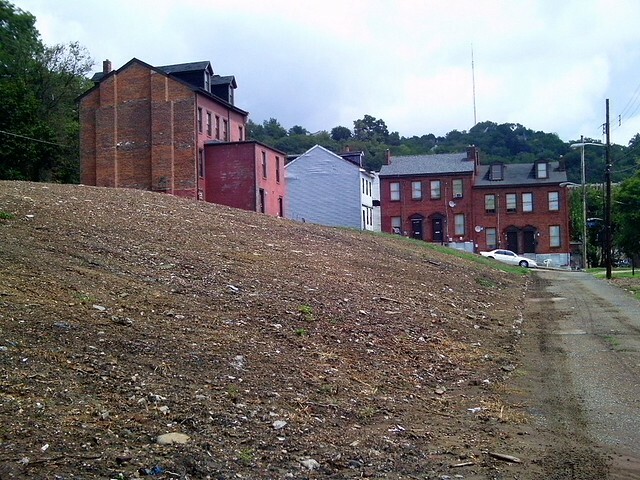 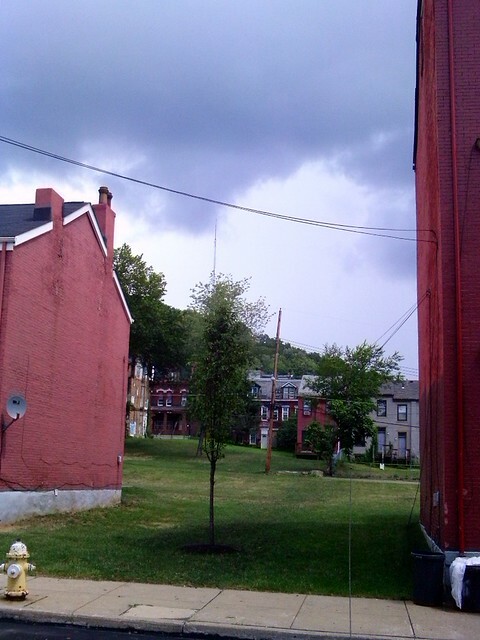 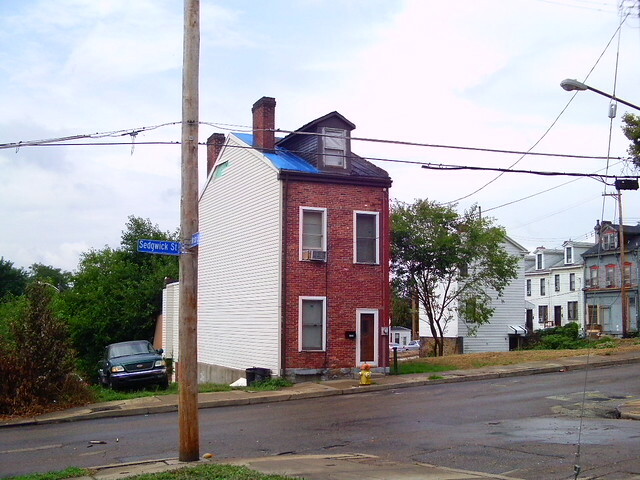 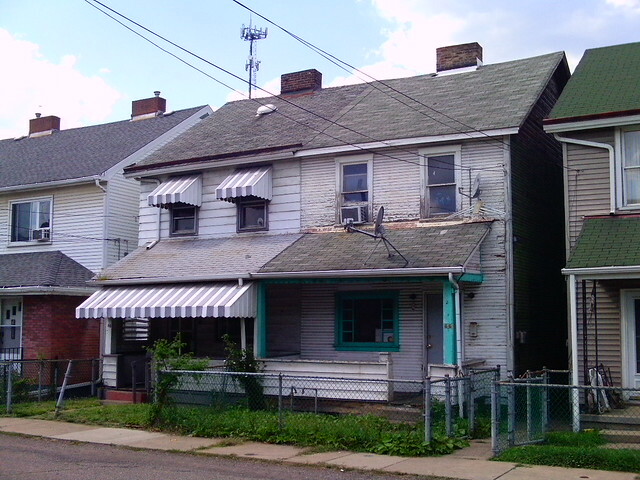 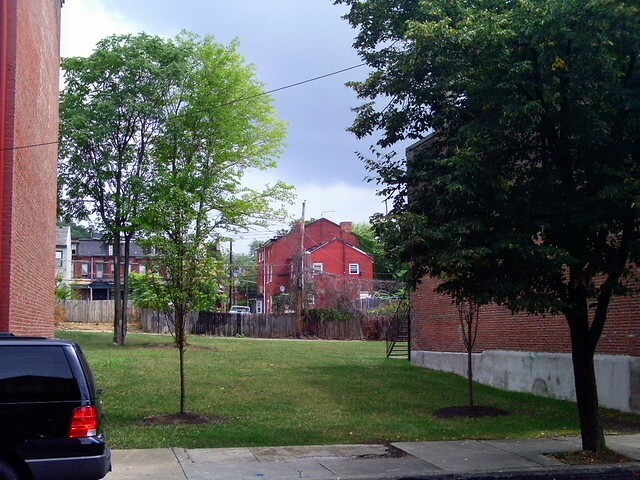 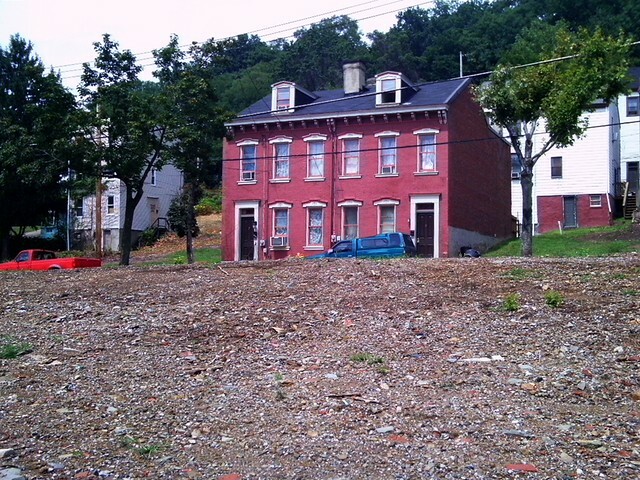 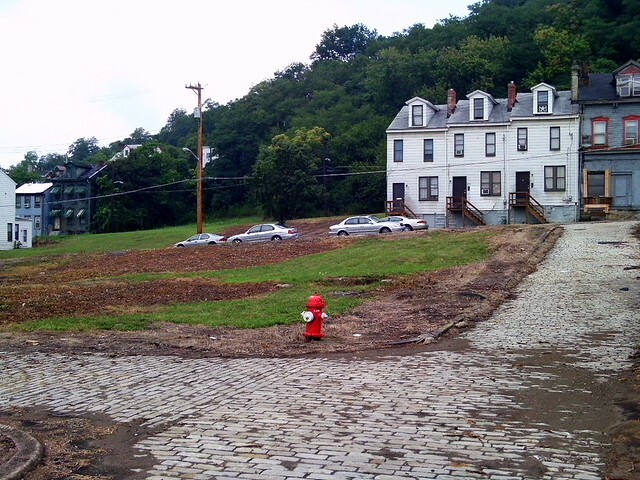 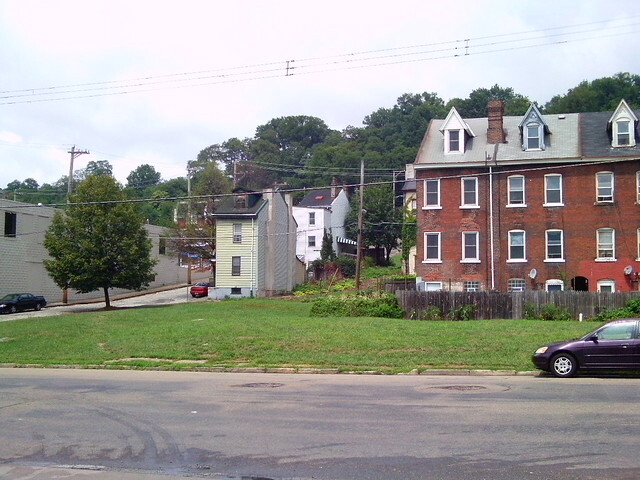 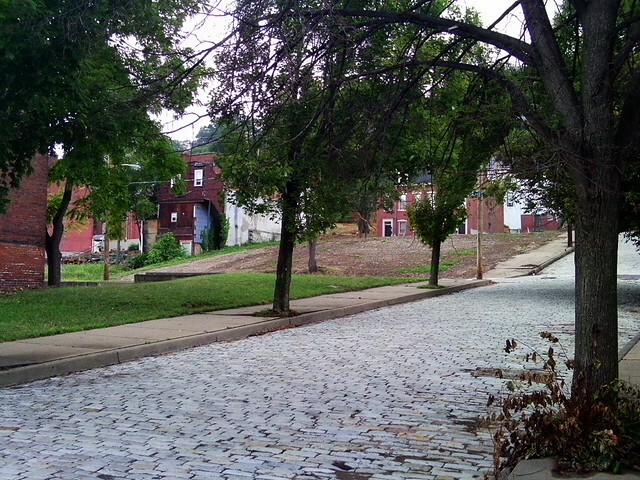 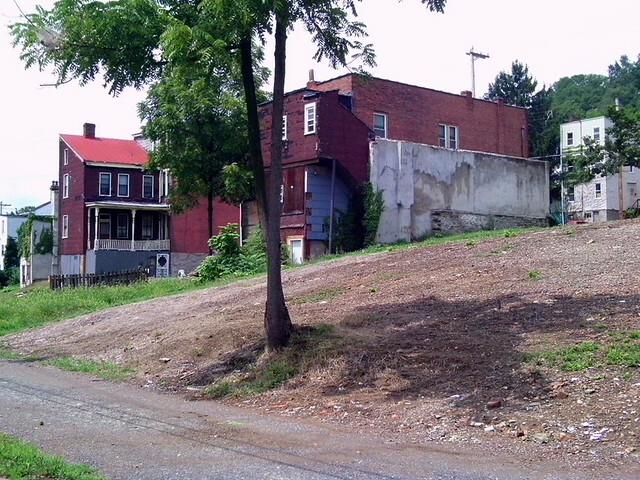 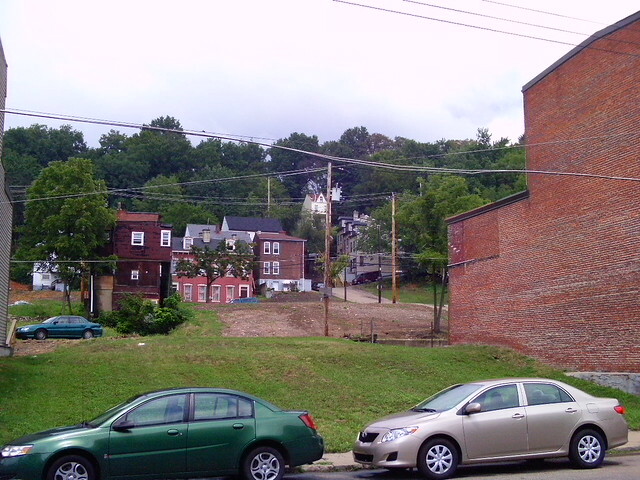 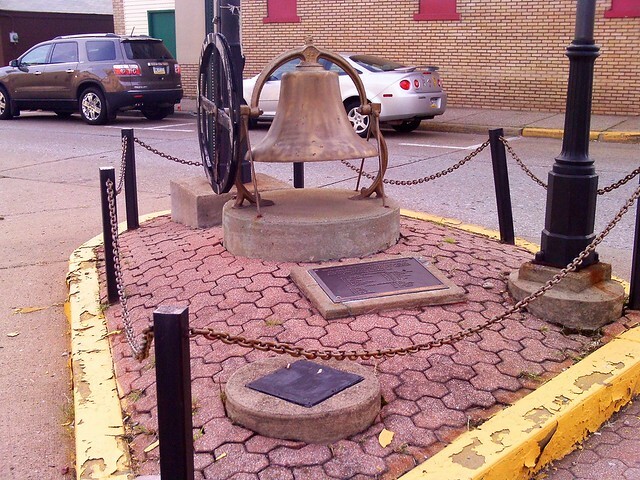 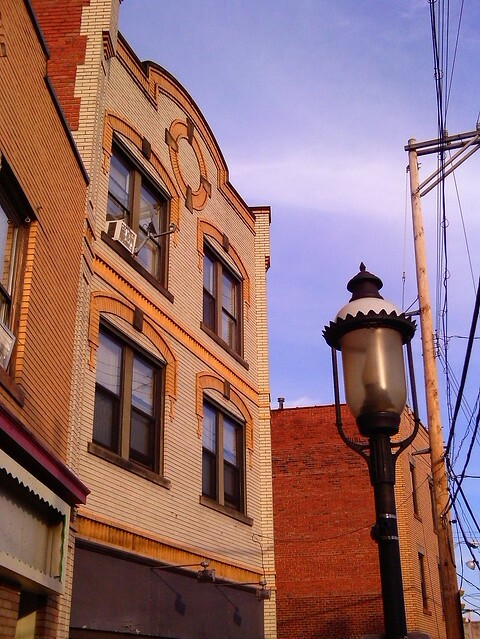 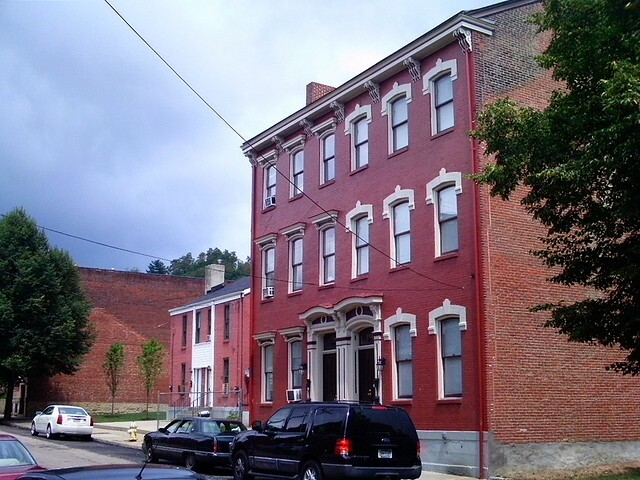 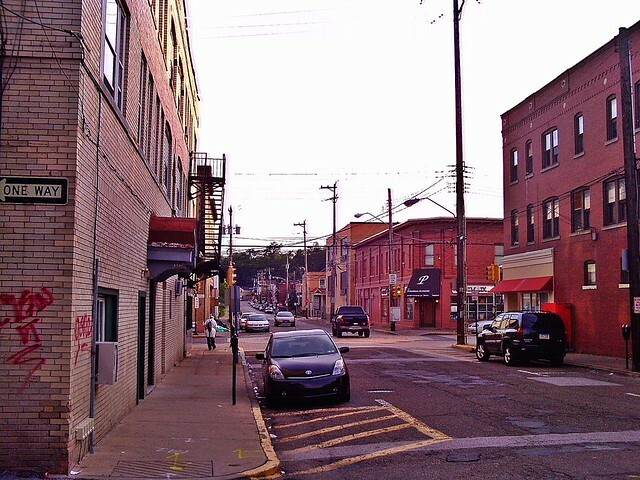 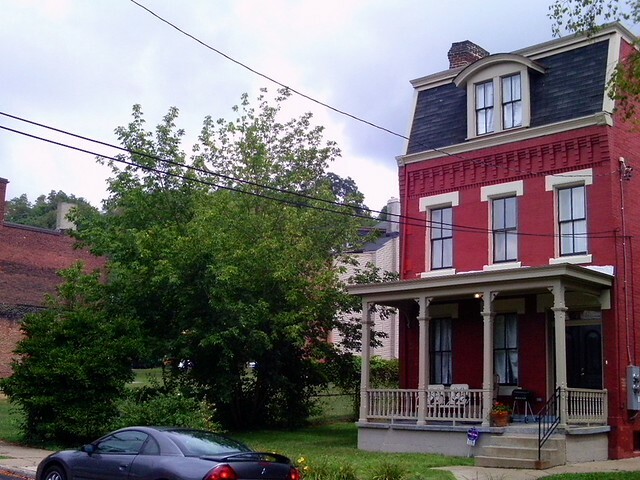 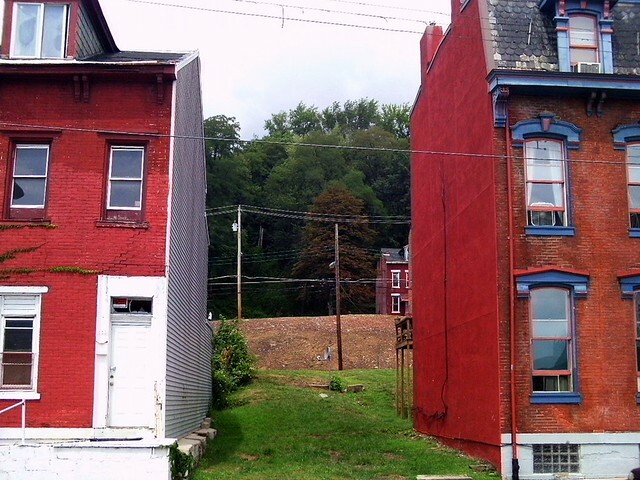 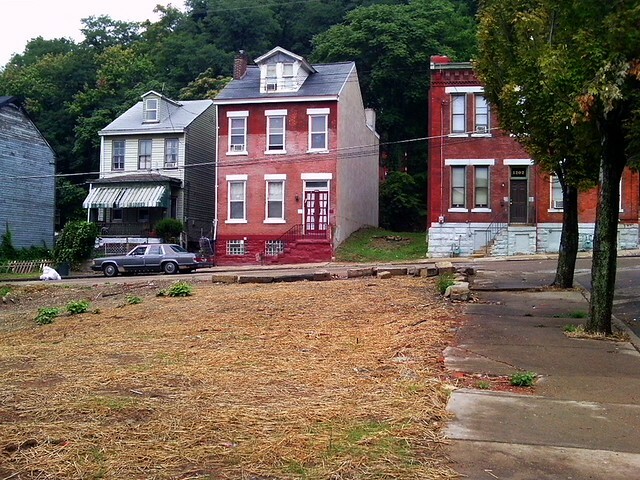 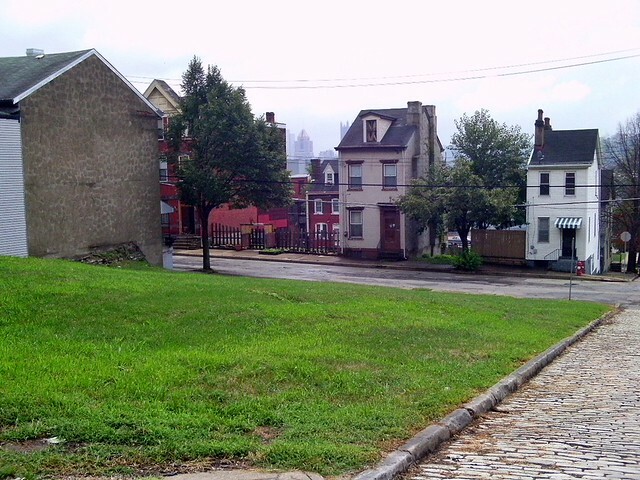 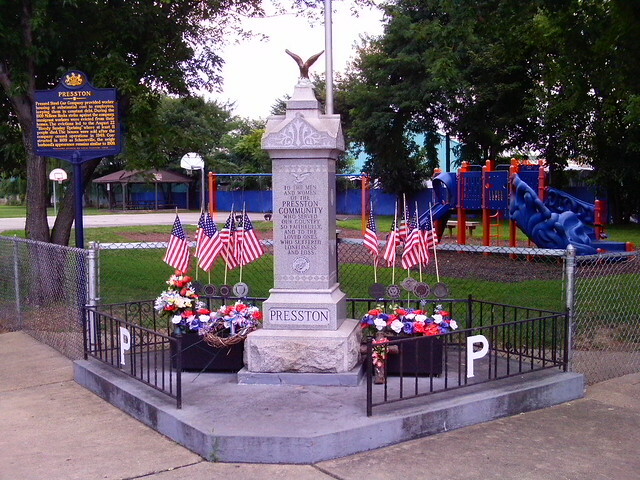 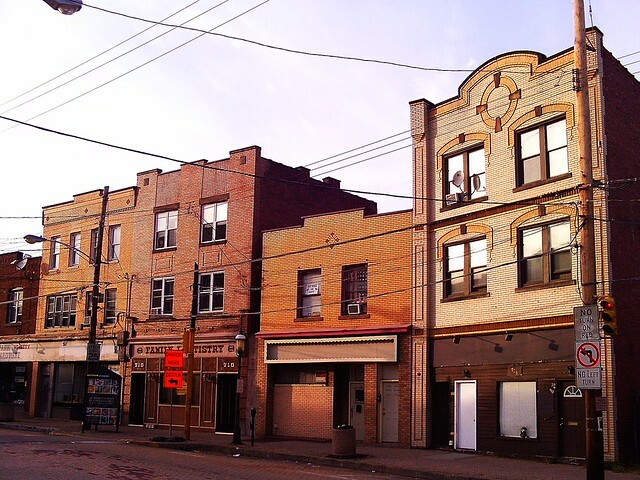 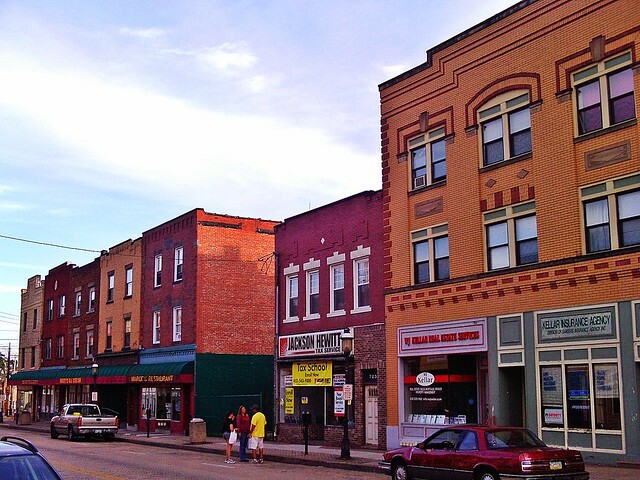 The following pictures were taken on August 18th, 2011, and document the historic structures of Brownsville, PA. 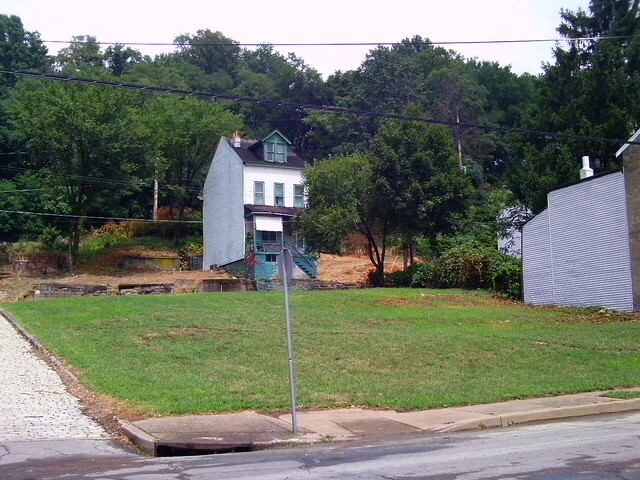 Historic Presston, Stowe Township & McKees RocksPresston is a small residential community in an industrial setting. 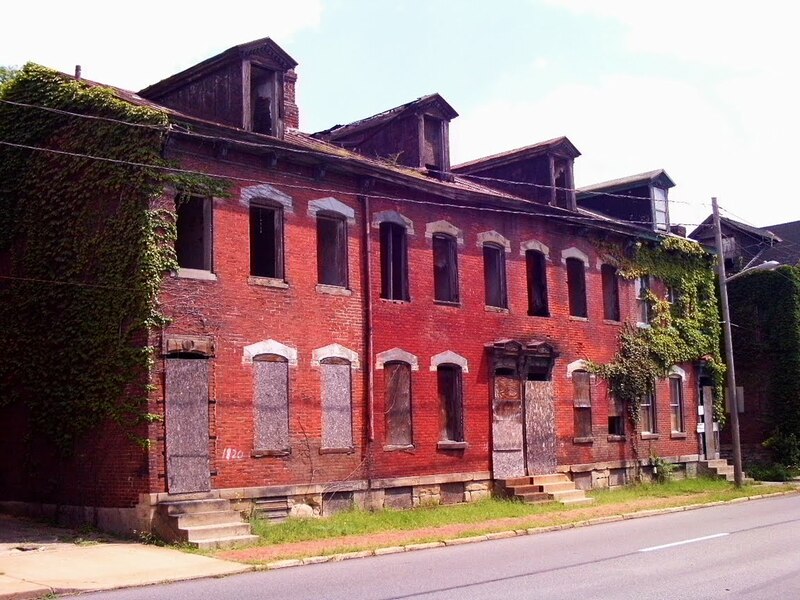 It was originally the company town of Schoenville, constructed in 1899 as worker housing for employees of the Pressed Steel Car Company. 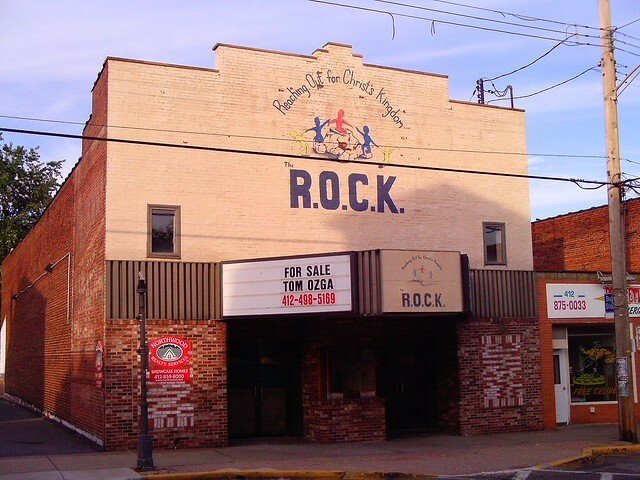 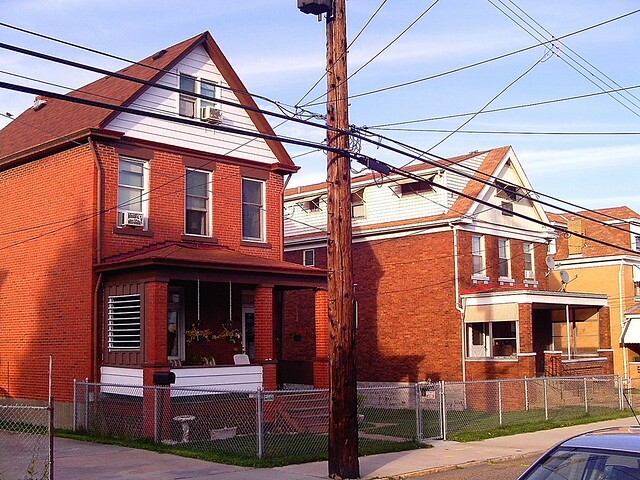 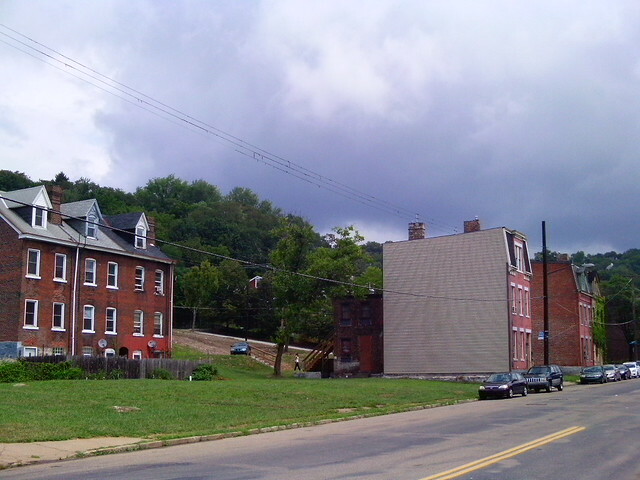 Many of the residents of this community were immigrants, who were kept in constant debt by the company, which resulted in the famous 1909 McKees Rocks Strike. 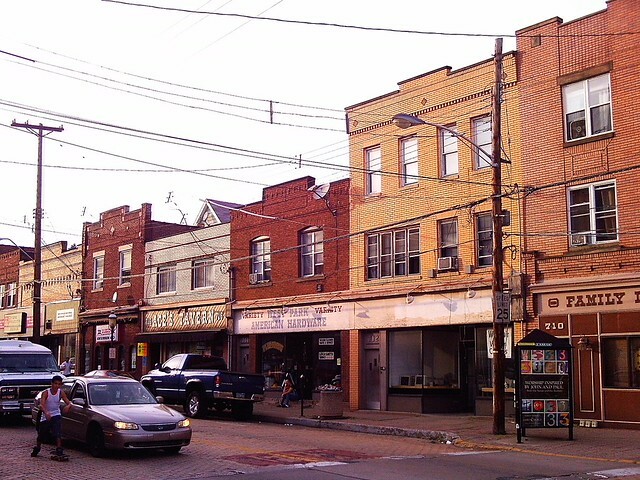 Eleven people died in the strike. 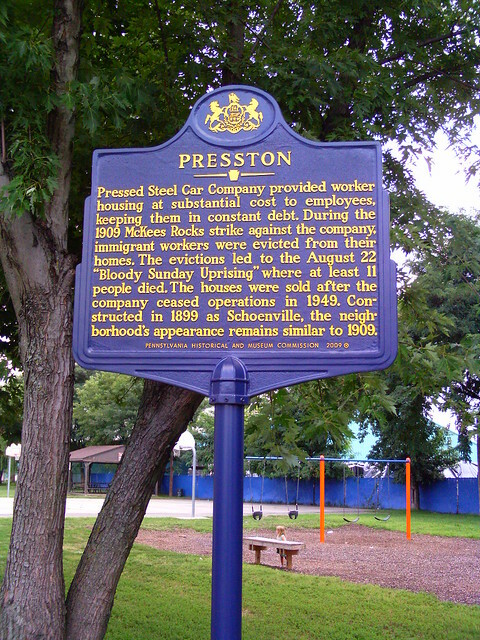 Presston has a dramatic and fascinating history. 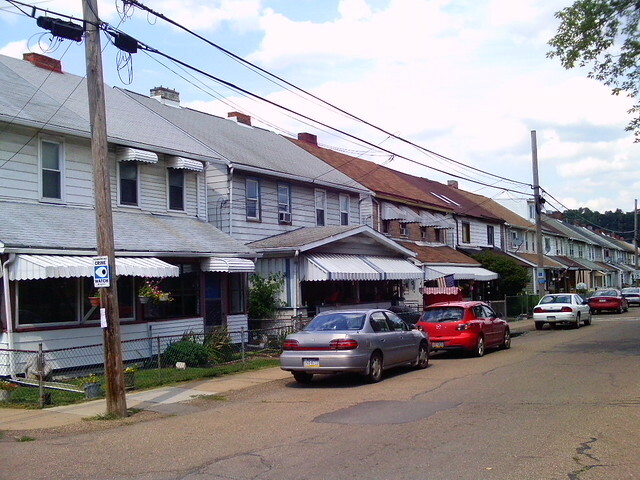 The neighborhood is still mostly intact. 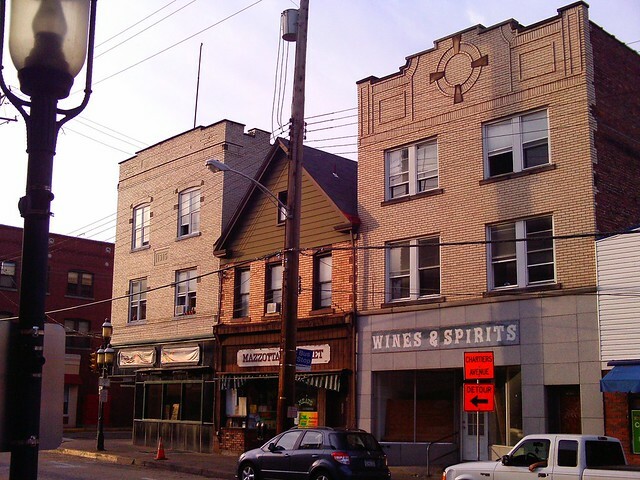 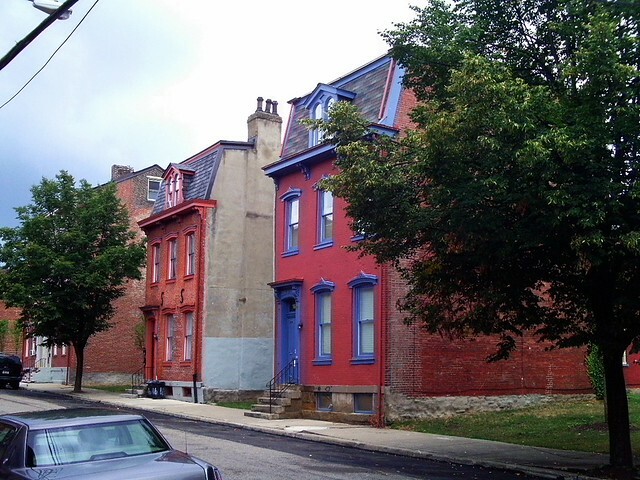 The following buildings on Chateau St., in the Manchester Historic District, are slated for demolition. They are crumbling Victorian monuments to the 19th century, and the city's long decline. 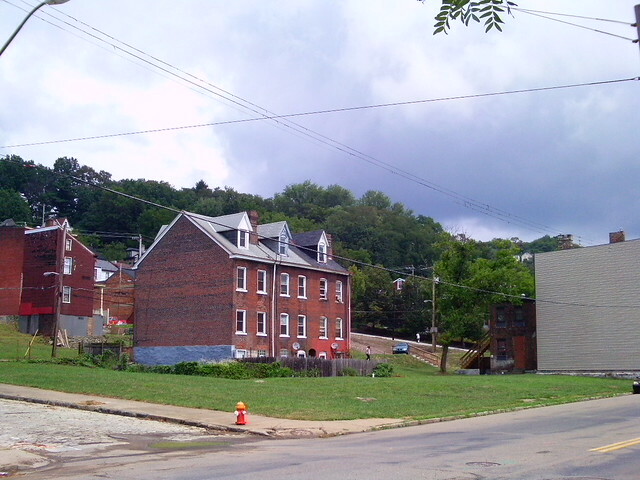 Click here to see an update of how these buildings (still standing as of writing) look in March, 2013. 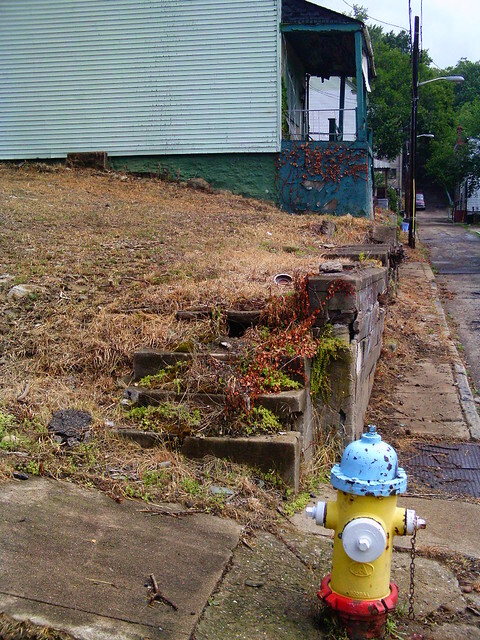 This is not a traditional photo tour. 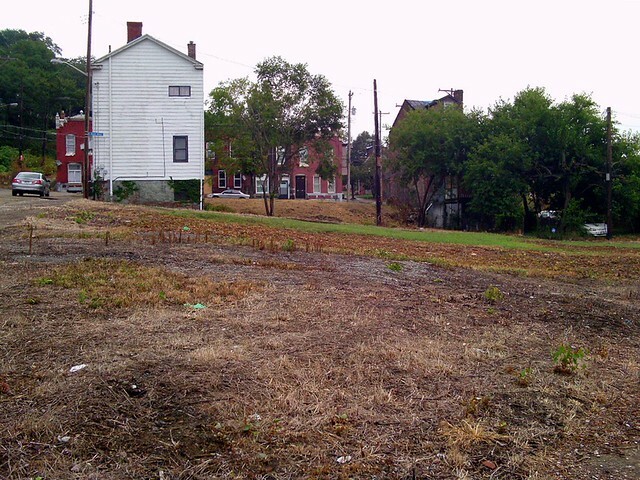 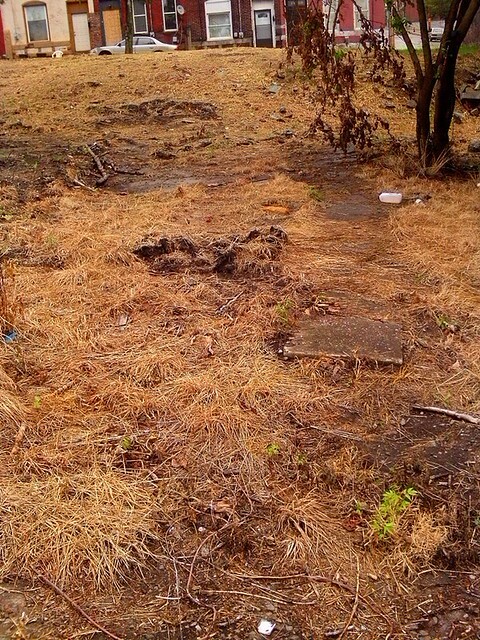 The theme here is "urban prairie" in the city, and the negative effects of demolition. 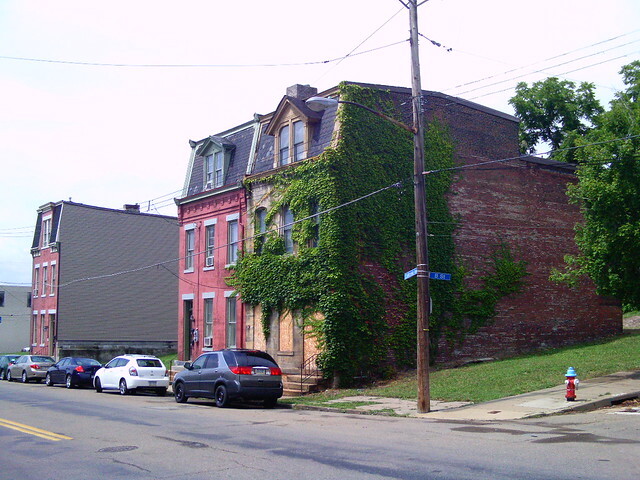 How "urban prairie" comes about in city neighborhoods is extremely well-illustrated by this page on the BuiltStLouis site, one of the best historic urban architecture websites. 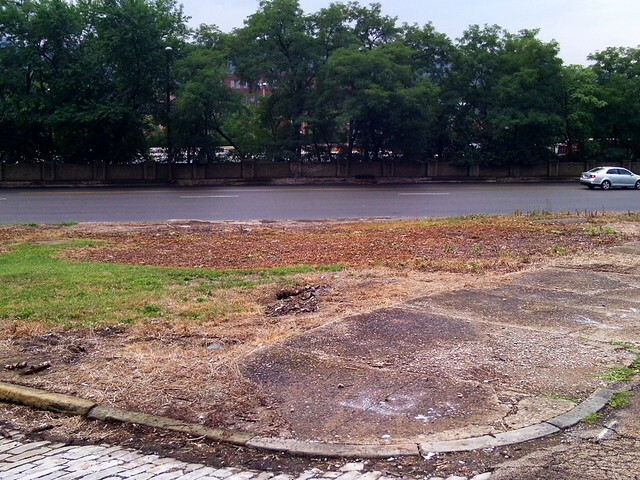 This page is inspired by that. 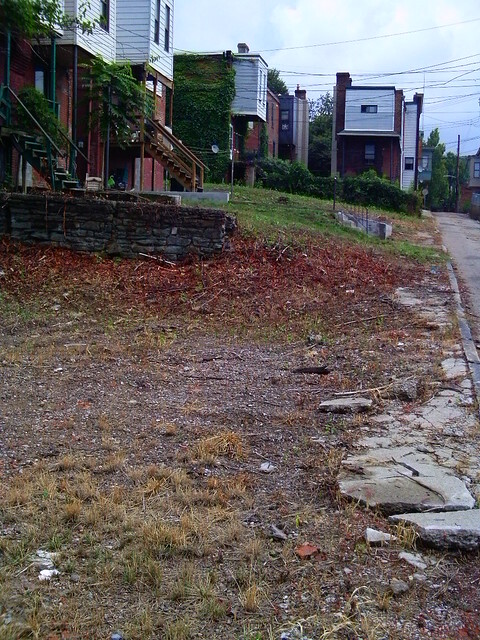 The focus here, then, is the gradual erosion of a neighborhood, until the point that it no longer exists. 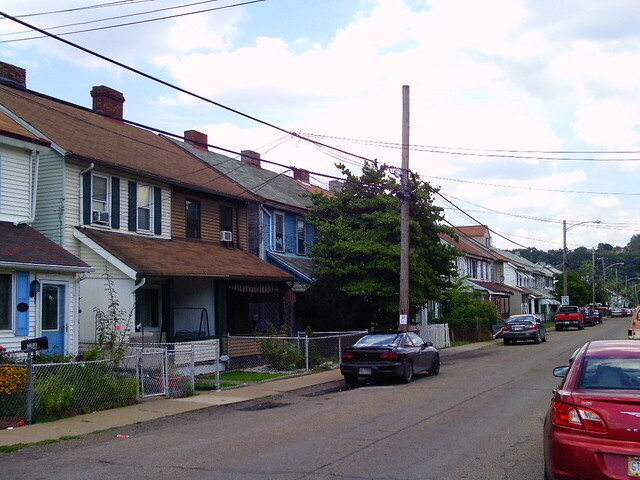 California-Kirkbride is a neighborhood located in the North Side of Pittsburgh. 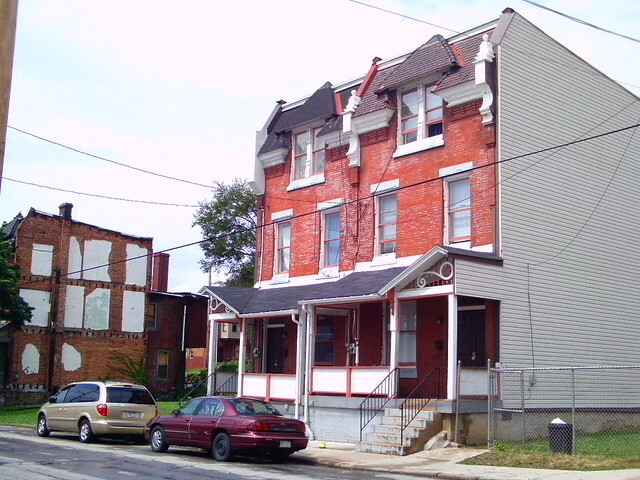 It was built primarily in the 1870s-1890s. 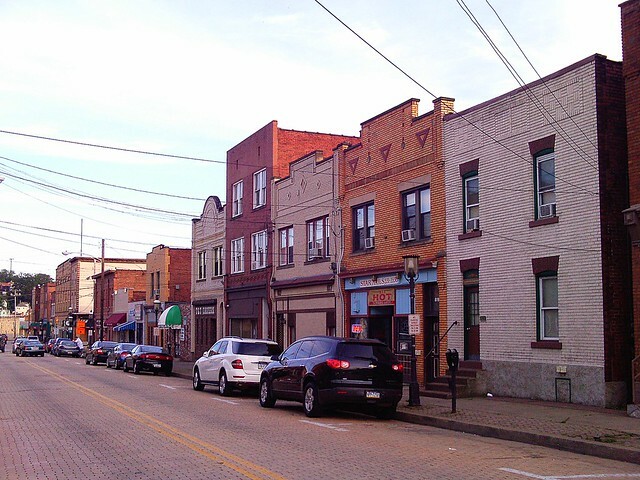 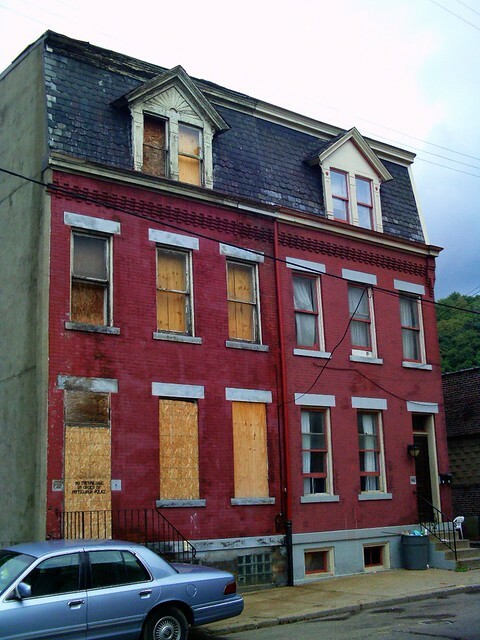 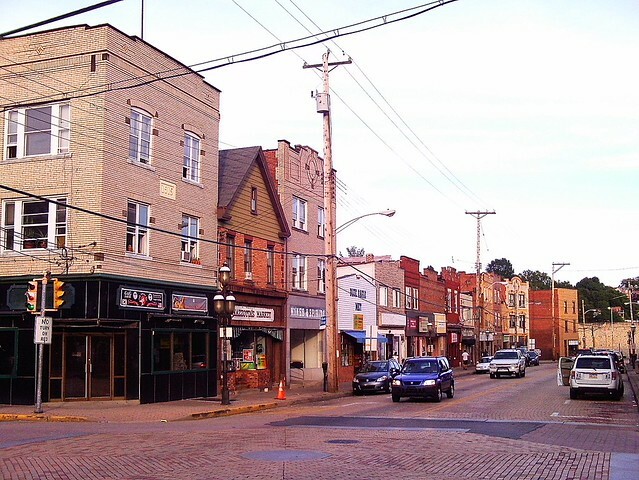 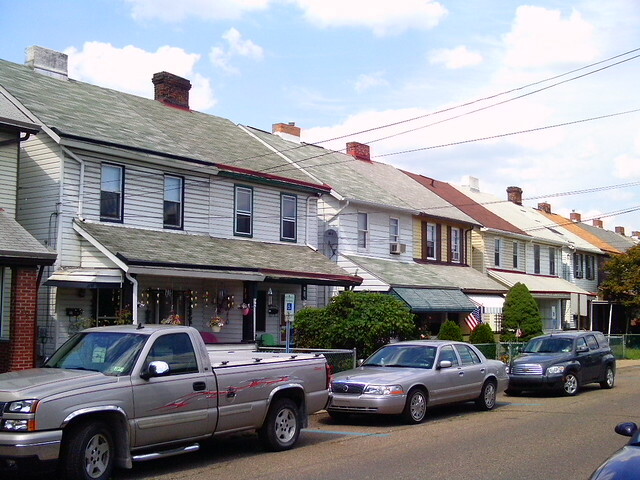 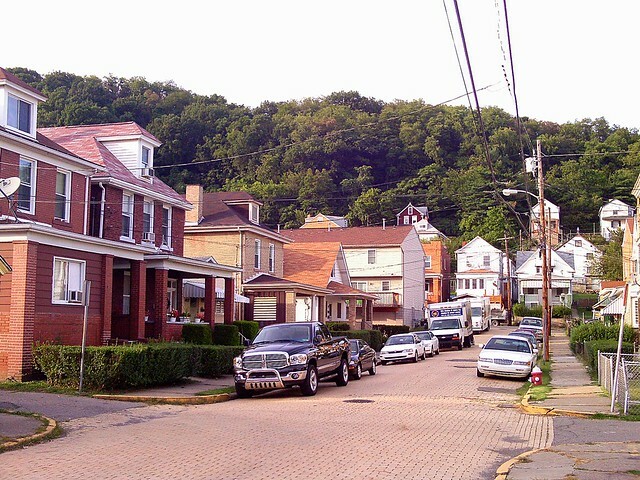 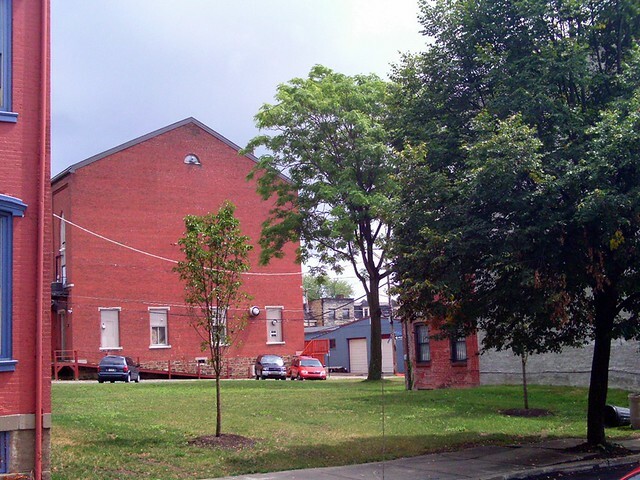 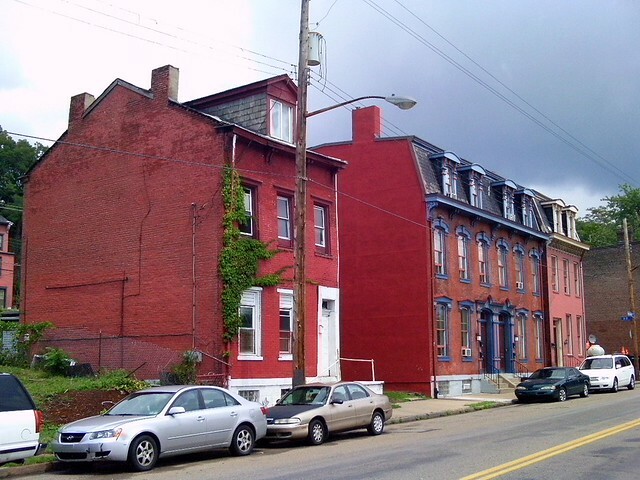 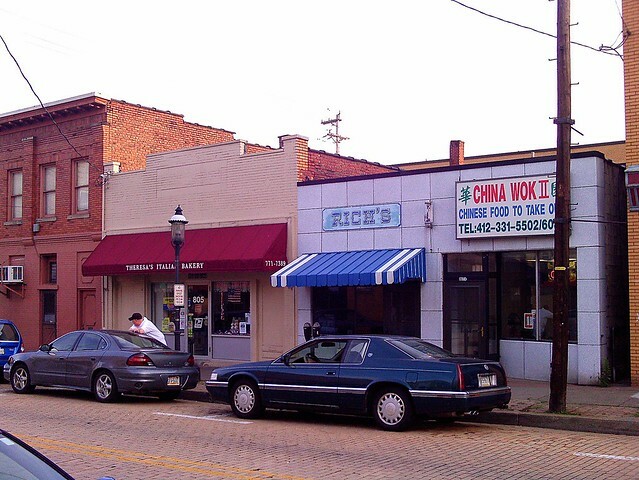 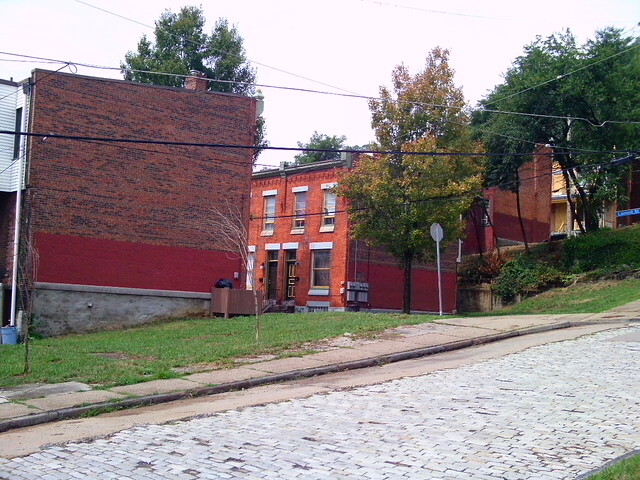 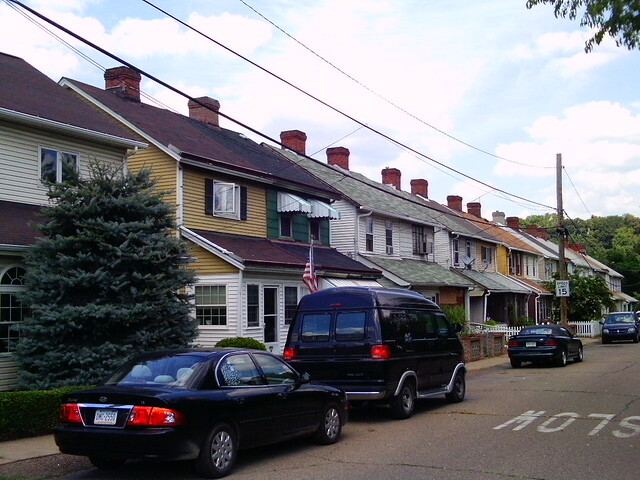 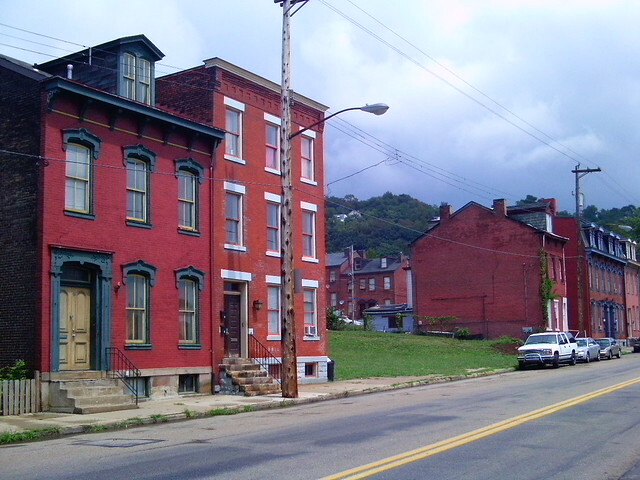 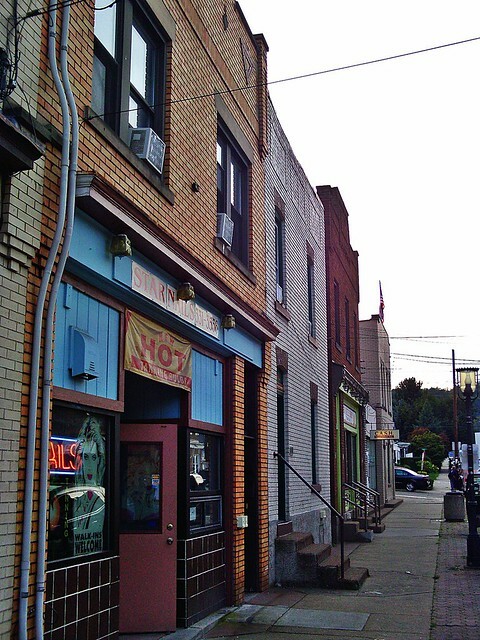 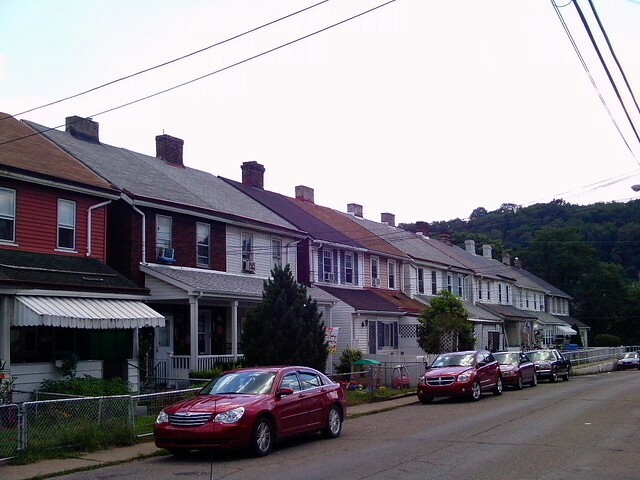 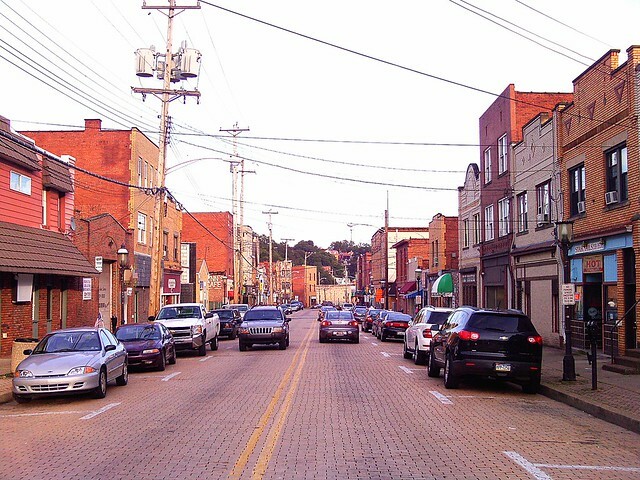 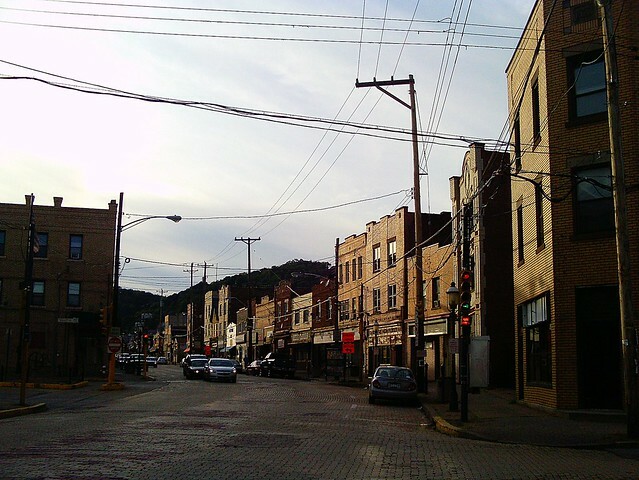 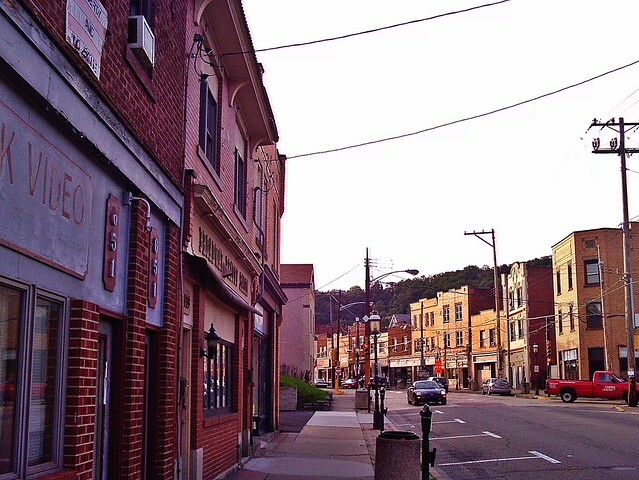 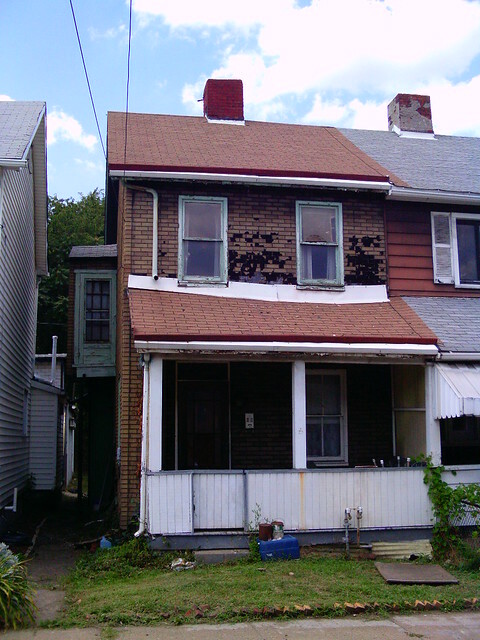 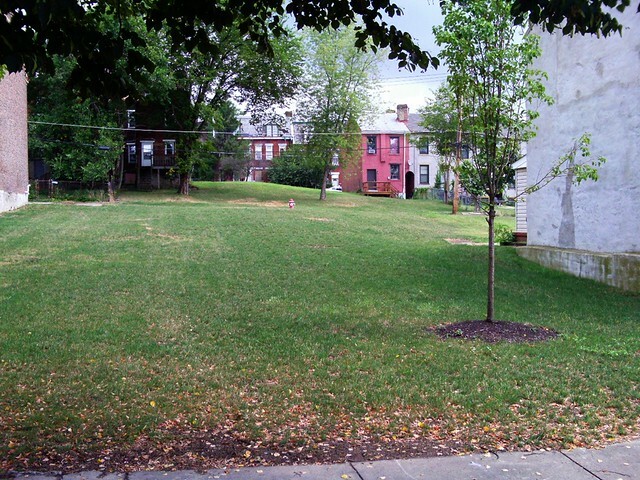 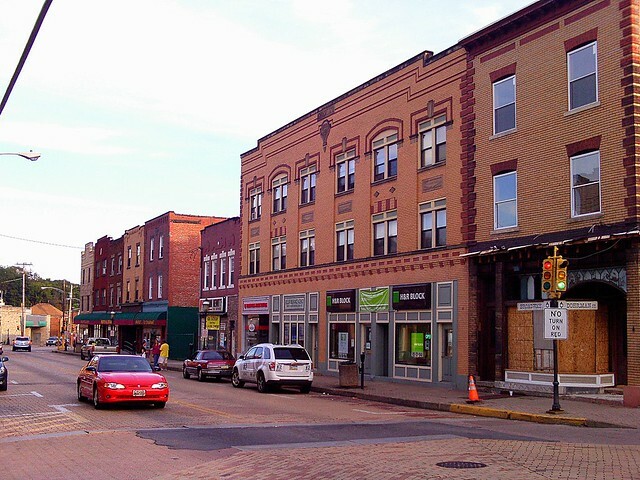 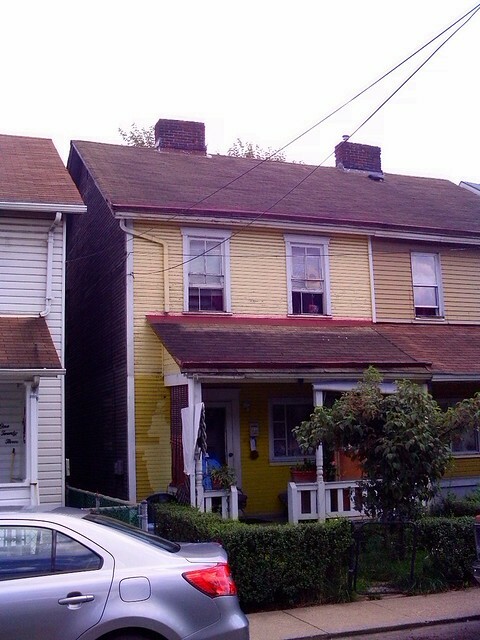 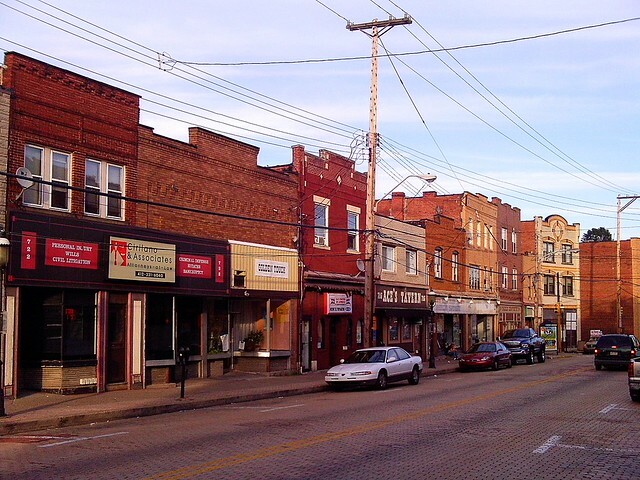 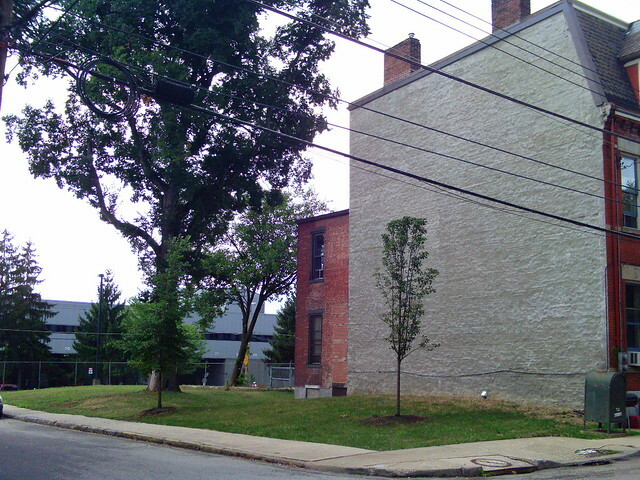 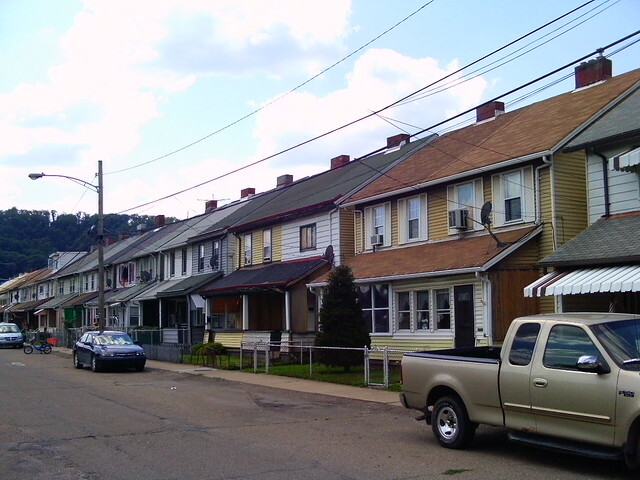 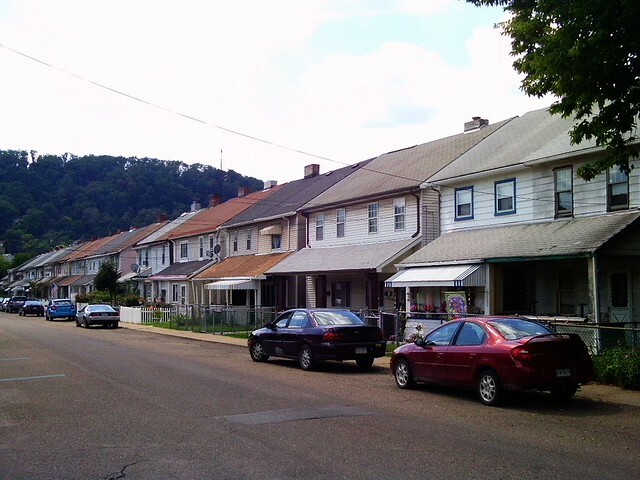 The neighborhood is a National Register Historic District known as the "Old Allegheny Rows Historic District." 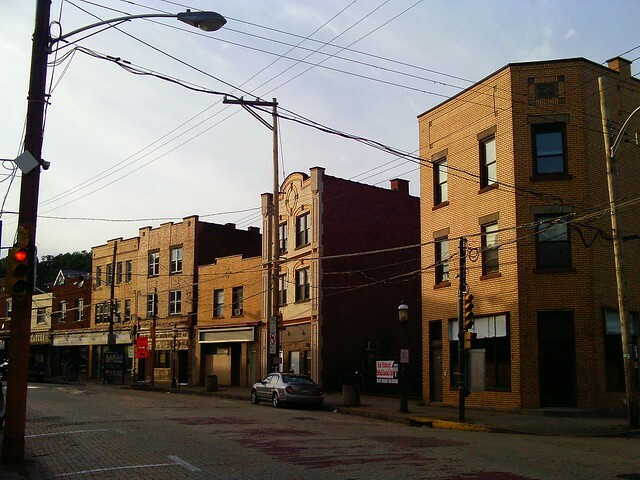 "The neighborhood has endured a half century of decline and stagnation. 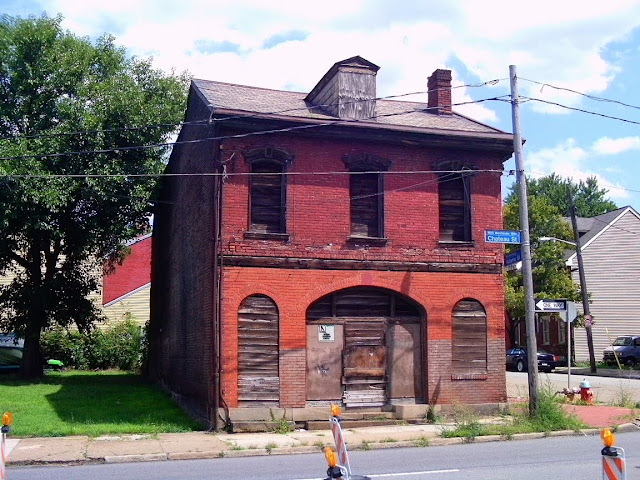 The failure of the railroad industry combined with the neglect of Pittsburgh's Northside and the region's general loss of population have left the area largely intact, but depopulated. 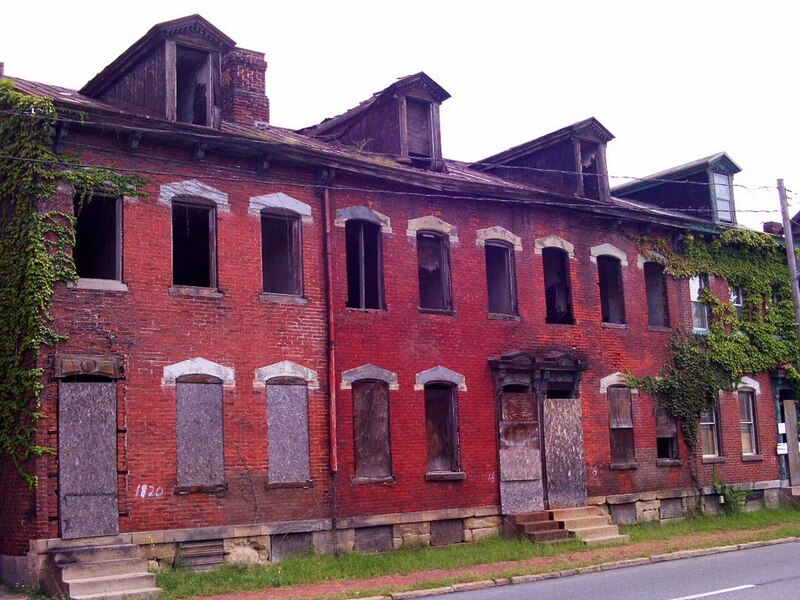 The location of a large new postal facility on the site of the old railyard, and reinvestment in some of the residences in the neighborhood, promise better things for the future of the district." It will be hard to fathom, after you see the following pictures, that California-Kirkbride was "largely intact" merely 25 years ago. 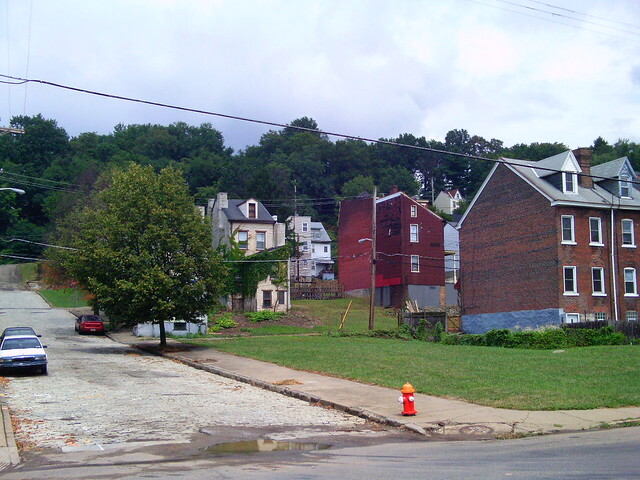 The neighborhood stood for 130 years, but it only took two decades to destroy it. 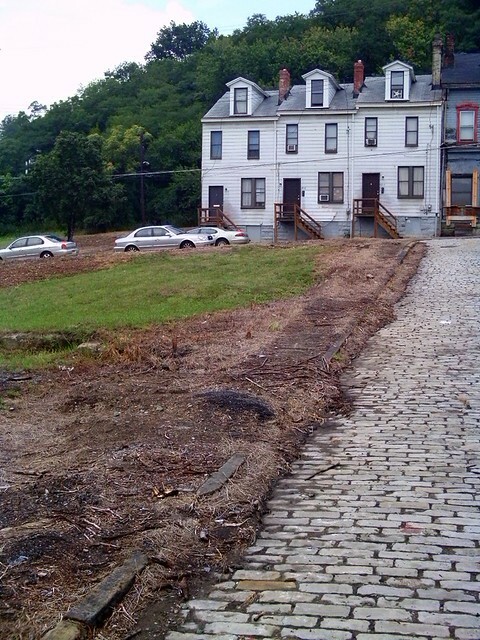 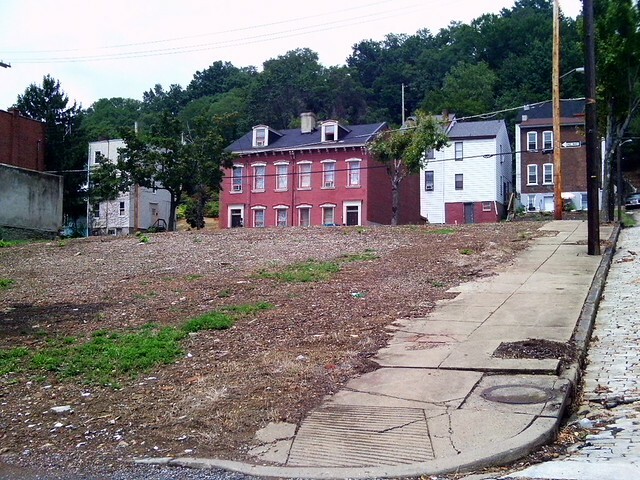 California-Kirkbride is not the only neighborhood to go this way (see also Esplen, East Deutschtown, and the Bluff), but it dramatically illustrates the problem that insensitive demolition poses to the integrity of neighborhoods. 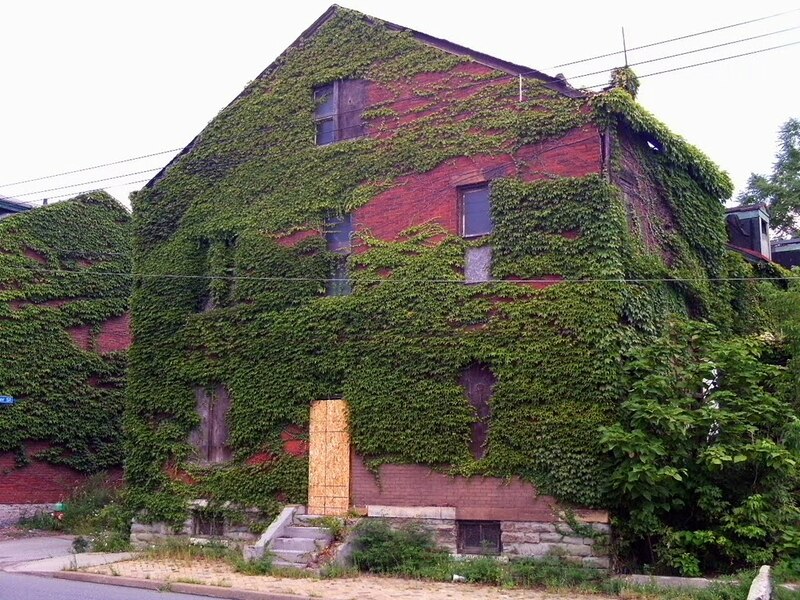 California-Kirkbride exists as a case study of urban destruction. 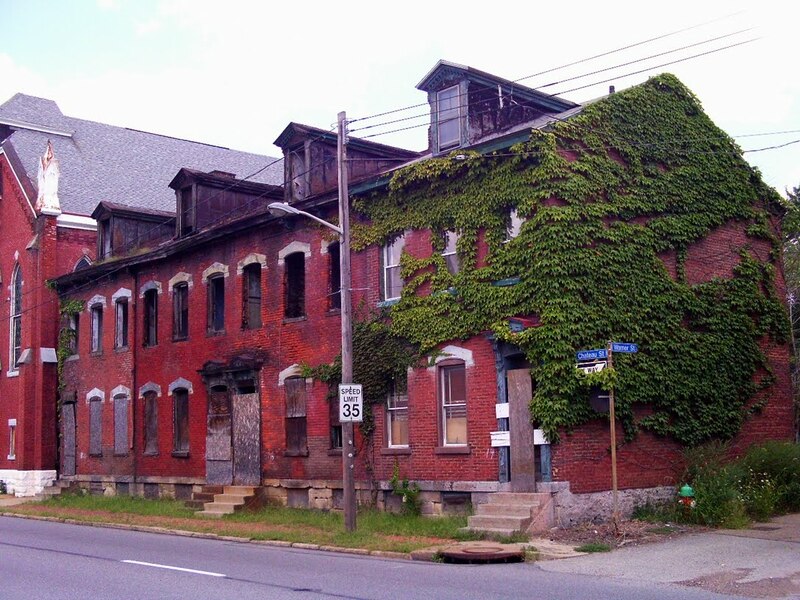 When buildings are abandoned in the city, the most common train of thought seems to be, "tear them down." 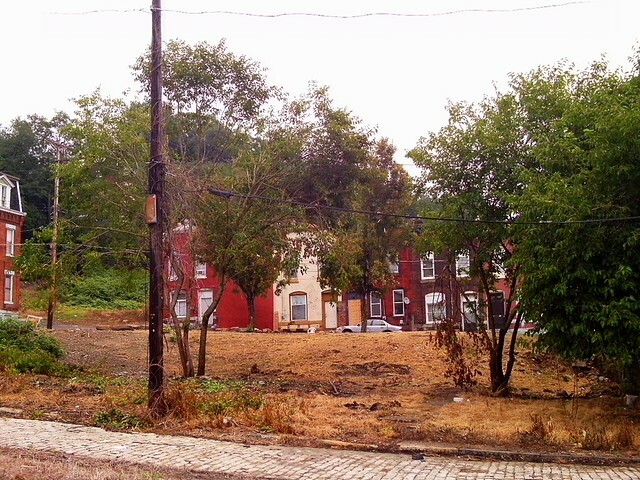 This is what happens to historic neighborhoods when demolition occurs. 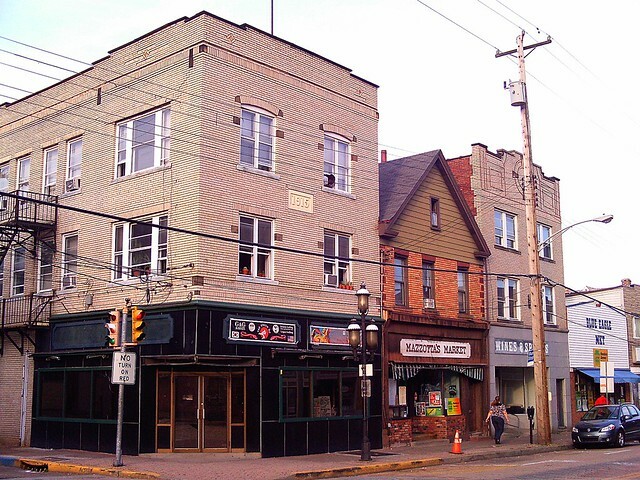 It may only seem like one building here or there, but one building becomes two buildings, and two becomes three, and so on, until it becomes hundreds. 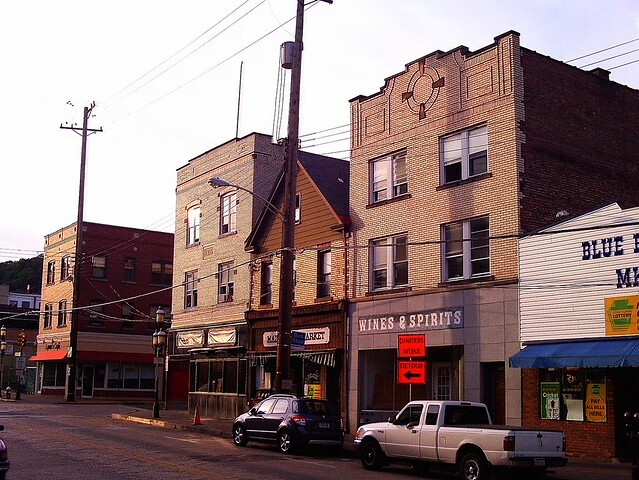 When California-Kirkbride was listed as a National Register Historic District in 1984, there were 348 contributing historic structures. 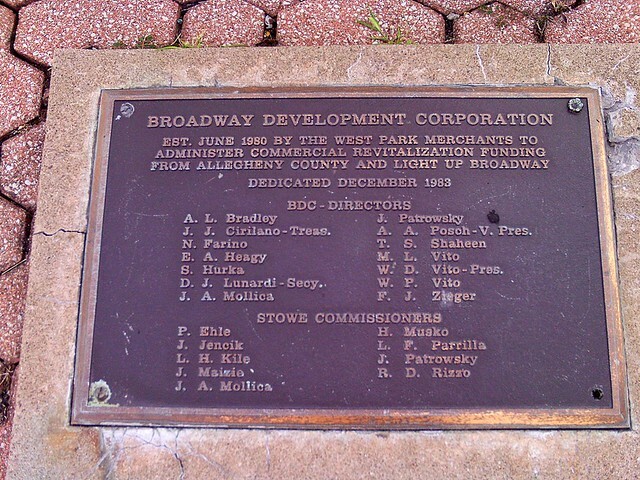 How many are standing now? 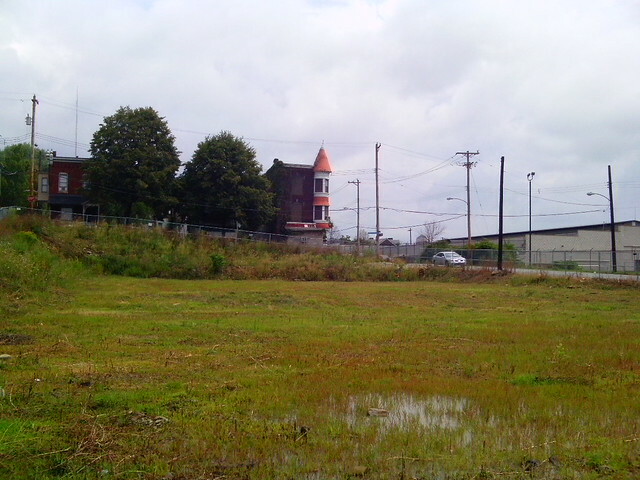 Above: The definition of urban prairie. 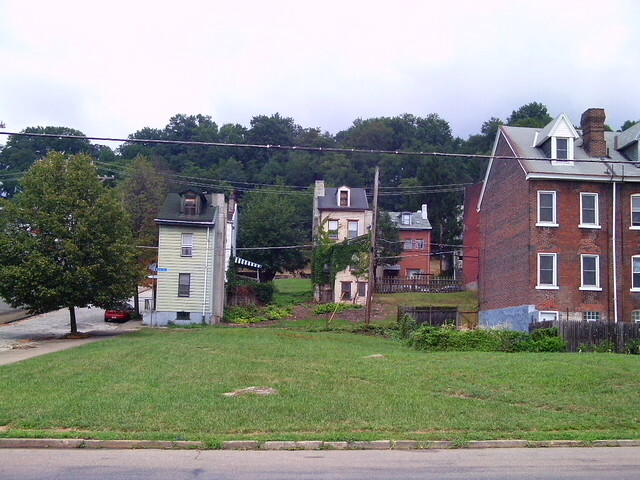 A city block with no houses on it. 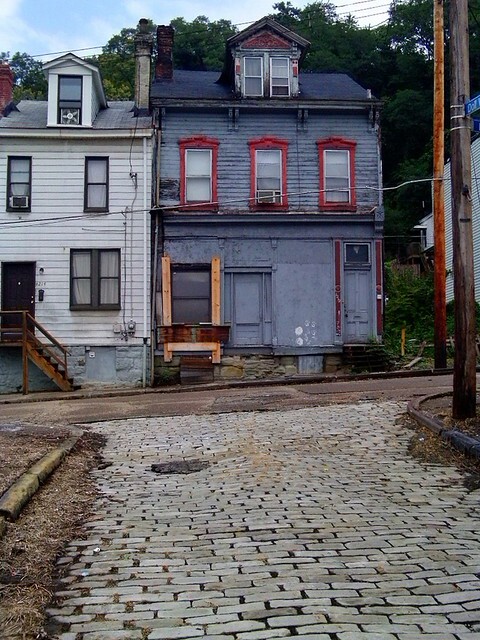 The alleys and cobblestone streets are what's left as a reminder of the once intact and bustling neighborhood.